The Tuff Mount TA-3600P flat antenna receives free high definition TV signals over the air. 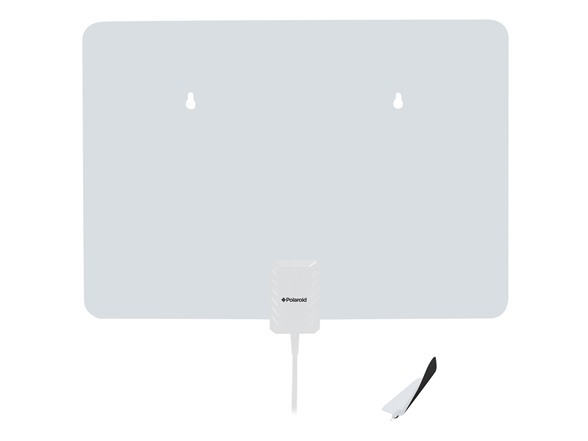 This indoor antenna features a reception range of 35 miles, and ensures quality, distortion-free result. It's extremely easy to install - simply connect it to your TV, place the antenna higher on a wall, close to the window or at any other location with optimal reception. A long coaxial cable allows for flexible placement. *Channel reception varies depending on the signal strength in your area as well as terrain, distance to broadcast towers and surrounding area.